This episode sponsored by the University of Ottawa Public Relations Association (uOPRA) features Ian Capstick of MediaStyle alongside uOPRA President Sharon Cheung and Young PR Pros host Kristine Simpson. Releasing our third episode of our 4-episode podcast, Take uOPRA to Work Day, we were thrilled to sit down and chat with Ian, who has published works in the Ottawa Citizen, the Globe and Mail and PostMedia newspapers across Canada, to name a few, and is a regular on CBC’s Power and Politics. Sharon asks Ian what MediaStyle looks for when recruiting new team members. Ian mentions government relations and we discuss unpaid internships. A unique feature of MediaStyle is that they offer workshops for clients and students to learn about various topics such as video production and social media. Join in on the episode to learn more and make sure to listen in to our last edition to the podcast series. Take uOPRA to Work Day will send you all off featuring Nicolas Ruszowski of an international leading PR firm, Fleishman-Hillard discussing the PR industry that is government relations. 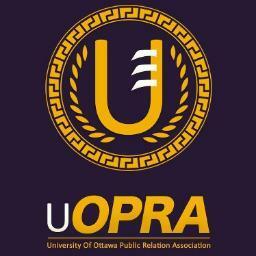 Visit www.uopra.ca for more information on the uOttawa side of the PR program here in Ottawa. The blog includes Communication course reviews, company spotlights, and event reviews such as the CPRS 2013 National Conference, Conversations 2013. We want to hear from you. How are you enjoying the series? Do you have questions for our guest hosts? You can post your comment below or on our Facebook Page, or on our Google+ page, or in our LinkedIn group, or on Pinterest, or send us an email at youngprpros@gmail.com, or send us a message on Twitter @youngprpros, @kristinesimpson or @kentjulia. This entry was posted in Take uOPRA to Work Day, Young PR Pros podcast and tagged communications, Ian Capstick, julia kent, kristine simpson, marketing, MediaStyle, PR, pr pros, public relations, sharon cheung, take uopra to work day, university of ottawa, uopra, young PR professionals, young pr pros, young professionals, young pros by Kristine D'Arbelles. Bookmark the permalink.